Fenerbahce Ulker Istanbul bounced back from its first loss in the 2012-13 Turkish Airlines Euroleague by downing Panathinaikos Athens 73-64 at home in Group A on Thursday. 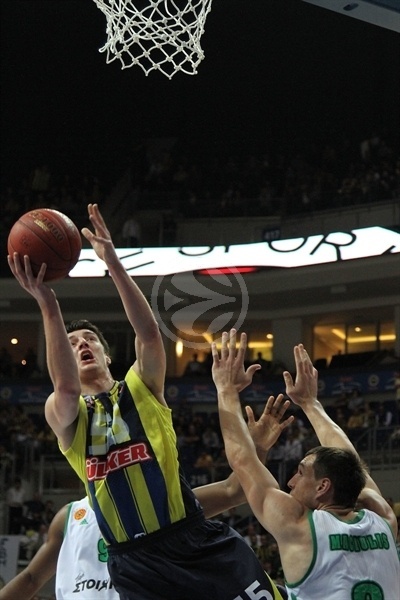 Fenerbahce improved to 3-1 to stay atop the standings, while Panathinaikos dropped to 2-2. Bo McCalebb and Bojan Bogdanovic led the winners with 13 points apiece. 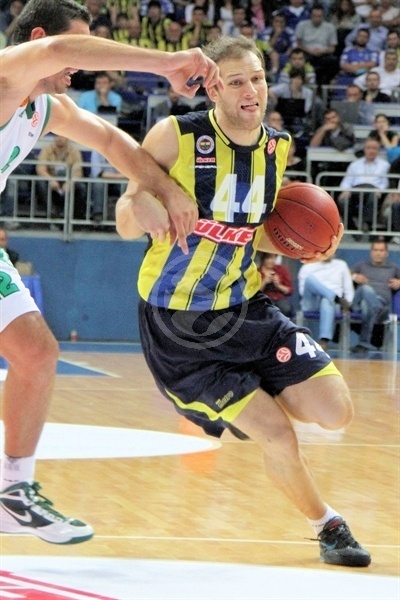 Ilkan Karaman added 12 and 7 rebounds for Fenerbahce. 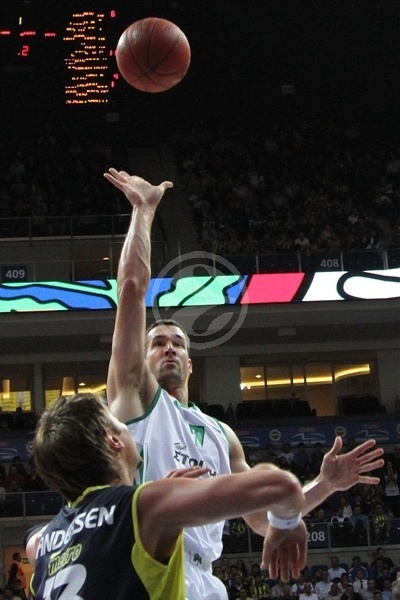 Jonas Maciulis led Panathinaikos with 14 points. Dimitris Diamantidis added 12 and Roko Ukic had 11 against his former team. 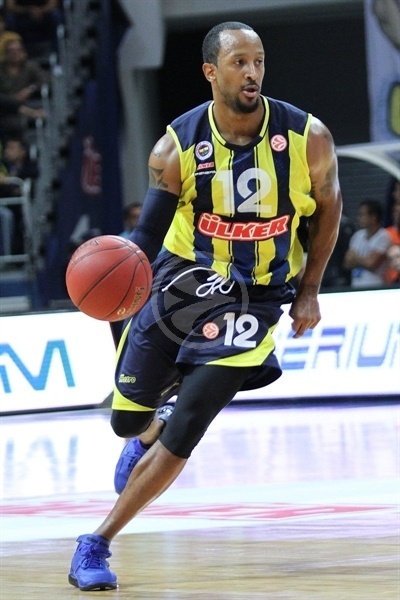 Free throws by McCalebb allowed Fenerbahce to take a 19-17 edge after 10 minutes. An outstanding Karaman and free throws by J.R. Bremer boosted the hosts' lead to 34-24 midway through the second quarter. Fenerbahce found a new go-to guy in Bogdanovic, who helped his team to a 42-29 halftime advantage. Nothing changed after that as Fenerbahce improved its margin to 58-41 at the end of the third quarter and coasted to victory. Romain Sato got Fenerbahce going with a five-meter jumper and soon split free throws for a 3-0 lead. 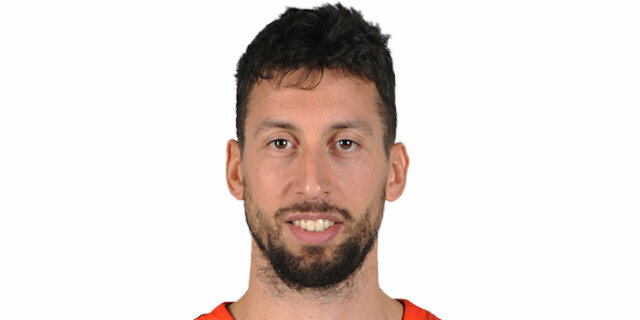 Dimitris Diamantidis stepped up with a big basket in transition, which J.R. Bremer – a surprise starter in place of McCalebb – bettered with a bomb from downtown. Diamantidis kept pacing the Greens with a three-pointer, but Emir Preldzic scored in penetration for an 8-5 Fenerbahce edge. Andy Panko and Preldzic traded backdoor layups and a three-point play by Jonas Maciulis tied it at 10-10. 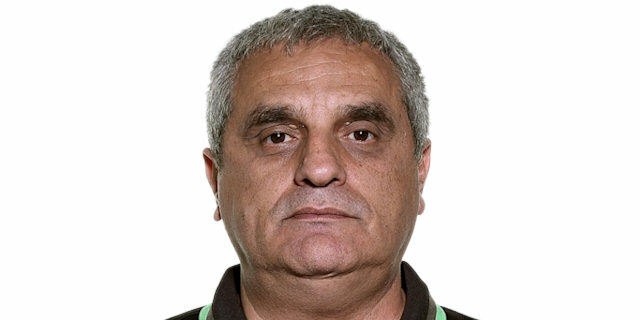 Panathinaikos brought Sofoklis Schortsanitis off the bench and started to run its offense through him. Karaman took over with a high-flying put-back basket and McCalebb followed that with a triple to give Fenerbahce a 15-10 lead. 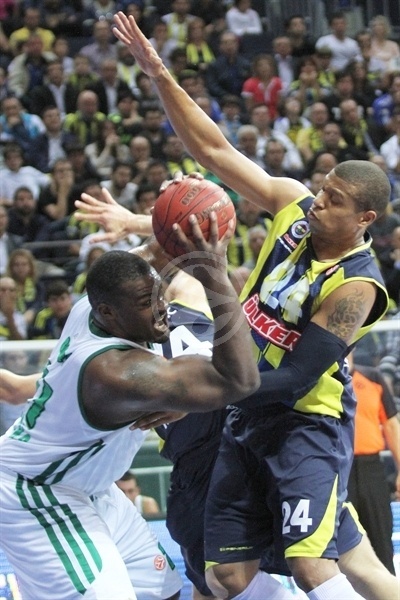 Panathinaikos could not find the way to the basket until Schortsanitis hit free throws. Sato did not miss from the foul line, but a driving layup by Diamantidis kept the Greens within 17-14. Roko Ukic struck from downtown to tie it, but free throws by McCalebb restored a 19-17 Fenerbahce edge after 10 minutes. Ukic use his size advantage to score against McCalebb in the low post early in the second quarter. Omer Onan quickly scored at the other end, as the Greens tried to slow the game tempo by using longer possessions. McCalebb banked in a driving shot to give the hosts a four-point lead, 23-19. Kostas Tsartsaris scored in the paint off a timeout but Karaman improved that with a three-pointer, good for a 26-21 lead. Panathinaikos kept having troubles to score and Bojan Bogdanovic joined the three-point shootout to boost the hosts' lead to 29-21. Stephame Lasme tried to change things with a layup-plus-foul but a red hot Karaman matched that with a bomb from downtown. Free throws by Bremer soon made it a double-digit game, 34-24. 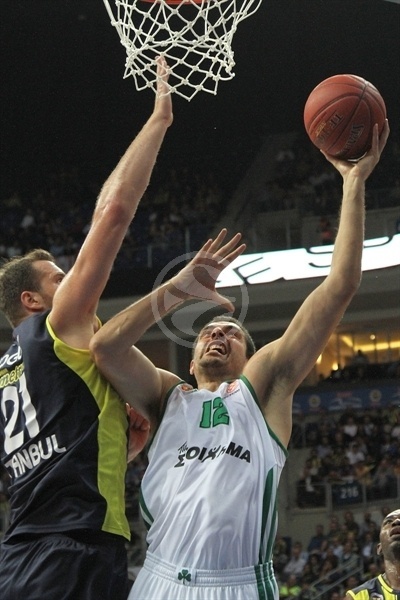 Lasme hit two more foul shots and had a big block on Karaman in the other end. Karaman took revenge with free throws and another three-pointer by Bogdanovic broke the game open, 39-26. Schortsanitis split free throws but an unstoppable Bogdanovic buried another triple. An uncontested dunk by Hilton Armstrong fixed the halftime score at 42-29. Both teams struggled to score after the break until bremer fed Mike Batiste for an alleyoop slam. Panathinaikos did not find the way to the basket and a layup by Batiste made the Greens call timeout at 46-29. Fenerbahce held the Greens scoreless for more than 3 minutes until Maciulis dunked it in transition, but he didn't find much help around. Batiste stayed on fire with his trademark jump hook and a close shot by Diamantidis brought the Greens within 48-33. David Andersen buried a turnaround jumper and the hosts kept excelling on defense, with Onan preventing Diamantidis from organizing his team's offense. Karaman scored down low and a tip-in by Omer Onan made it a 19-point game, 54-35. Schortsanitis made free throws but Sato matched those with a catch-and-shoot jumper. Maciulis stepped up with a corner three-pointer and soon split free throws to give the Greens some hope, 56-41. An electric driving layup by McCalebb fixed the score at 58-41 after 30 minutes. Lasme tried to ignite the Greens' comeback with a layup early in the fourth quarter. Meanwhile, Fenerbahce tried Preldzic at point forward to use longer possessions and run the game clock down. Bogdanovic split foul shots, as Panathinaikos tried a more experienced lineup with Diamantidis, Ukic and Kostas Tsartsaris together on court. 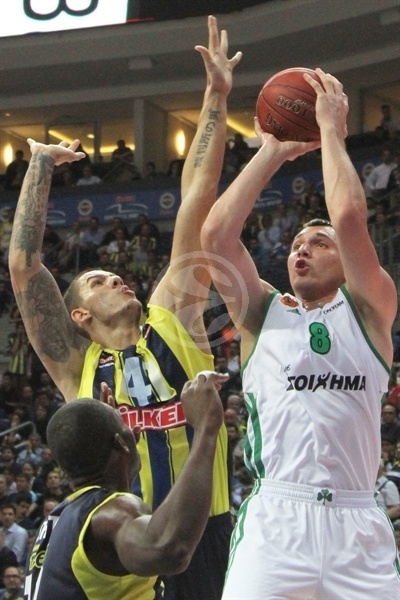 Diamantidis buried a three-pointer to bring the guests a bit closer, 59-46, with 6 minutes to go. Panko scored down low, forcing Fenerbahce to call timeout at 60-48. Bremer send the crowd to their feet with a three-pointer but Panko scored again for a 63-50 score. Bogdanovic nailed his fourth three-pointer and even when Diamantidis delivered a wild no-look assist to Maciulis, everything was said and done already. Fenerbahce had plenty of time to celebrate a big win while Panathinaikos returns home knowing it will play four of its next five games in front of its own fans at O.A.K.A. "It was a very important and exciting win against Panathinaikos at home. We have been struggling with injury problems since the beginning of the season. It’s good to keep going on with three wins in four games in a tough group like this. It’s dangerous to start the season playing at home three games out of four. This is a key win for us in the group. Tonight I’m also happy to see my players understanding our system better than the other games. We were much more creative in the first three quarters. Our energy was really good. We lost some energy in the final quarter, but this was normal. I think we balanced the game very well. In the last quarter we thought that the game was over. We have to work on that." "Tonight, especially the first five minutes of the second and third quarters, was disastrous for us. We made incredible turnovers and were not able to play our team game. We worked harder to come back in the last quarter and managed to reduce the big gap. But it was too late to create a chance to win the game. Fenerbahce Ulker is a very experienced team with talented players. This was a great experience for us to see and overcome our mistakes." "We had a good start and controlled the game until the middle of the last quarter. We played excellent defense for the first three quarters and held Panathinaikos at 41 points. But a little bit lack of motivation and relax helped them to reduce the difference in the last quarter. Anyway, it’s great to win against an opponent like Panathinaikos in any case. We will try to reduce our mistakes and try to be more effective, especially in the paint in the future games." "It was a poor offensive game for us for most of the game. We responded well in the last period, but it was too late to come back. 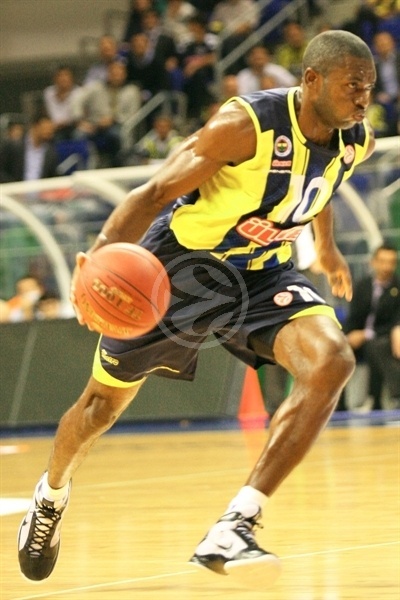 I congratulate Fenerbahce Ulker and wish them good luck in the upcoming games."